With the Reserve Bank of India (RBI) allowing non-resident Indians (NRIs) to invest in the New Pension Scheme (NPS), one more investment avenue has now opened up for NRIs keen to plan for retirement. 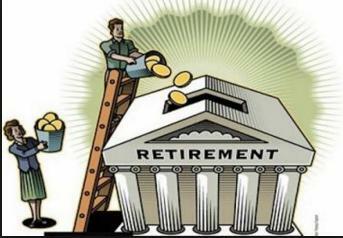 NRIs are possibly as guilty as resident Indians of not saving and investing adequately for retirement. Some of them give priority to other goals like children’s education and marriage or infusing funds into their business, to the detriment of a crucial goal like retirement. Many are not conscious of how inflation and galloping medical expenses will cause their monthly expenses to balloon, and hence underestimate the corpus needed for retirement. With human life span increasing, the risk that one may outlive one’s retirement savings has become very real. NRIs planning to spend their sunset years in India should also factor in the cost of buying a house here, especially of the kind that they would enjoy with respect to facilities and security. Housing prices have risen exponentially in all the major cities over the past decade. Overwhelming reliance on physical assets like gold and real estate, and aversion to equities are other obstacles that NRIs need to overcome to be able to invest effectively for retirement. Since retirement would be a long term goal for younger NRIs, their investment portfolios should be tilted heavily towards growth assets like equities. Investing directly in equities may be difficult for NRIs, given the challenges of tracking stocks while living in another country. Equity mutual funds are a more suitable option for them. With India having emerged as one of the fastest growing economies in the world, NRIs can expect their equity investments to fetch them good returns. The balance portion of an NRI portfolio should be filled with debt instruments like debt mutual funds, fixed maturity plans (FMPs), tax free bonds and bank fixed deposits. A small portion may be allocated to gold exchange traded funds (ETFs) for diversification. To this range of options, NRIs may now add NPS. The biggest advantage of NPS is its ultra-low fund management fee. By paying a very low fee, the investor gets the benefit of professional fund management. 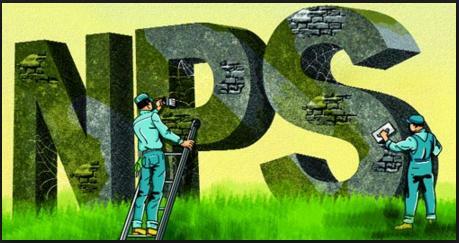 These low charges will boost the long-term returns from NPS. NPS also offers equity exposure, albeit only up to 50%. Long-term returns from equities are likely to be higher than if you invest the same money in debt products, considering past data. NPS also offers equity exposure, albeit only up to 50%. NPS also allows investors the flexibility to change their allocation to different asset classes (equities, bonds and G-Secs) and to shift between pension fund managers, based on their track record. NPS does come with a few drawbacks too. One, it falls under the EET regime, which means that the final corpus gets taxed at the time of withdrawal. Also, you can’t withdraw your funds before reaching 60. If you do so, you will have to use 80% of the corpus to buy an annuity. And even if you withdraw your corpus at 60, you have to compulsorily use 40% of the corpus to buy annuity. Returns from annuities tend to be lower globally. The final corpus gets taxed at the time of withdrawal. Also, you can’t withdraw your funds before reaching 60. If you do so, you will have to use 80% of the corpus to buy an annuity. And even if you withdraw your corpus at 60, you have to compulsorily use 40% of the corpus to buy annuity. You have the choice of an active option or the auto option. Under the first, you can choose your allocation to equities, bonds and government securities, while under the second your investments are put on auto pilot. Under the auto pilot option, initially, your investment is divided in the following proportion: 50% to equities, 30% to bonds and 20% to G-Secs. This allocation remains unchanged until 35. From age 36, the allocation to equities is reduced by two percentage points every year and to bonds by one percentage points, while the exposure to government securities is increased. Thus, the allocation to safer government securities rises as you approach retirement. You have the choice of an active option or the auto option. Under the first, you can choose your allocation to equities, bonds and government securities, while under the second your investments are put on auto pilot. 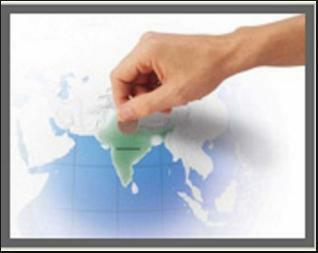 NRIs with some knowledge of investing and having a modicum of risk appetite should opt for the Active Choice option. As it is, NPS limits your exposure to equities to just 50%. By adopting the Auto Choice option, you will reduce your exposure to equities even further. Having such low exposure to equities in a long-term goal like retirement is uncalled for, and will affect the size of your final corpus adversely. If you decide to go with the Active Choice option, the next question is how much you should allocate to equities, bonds and government securities. In our view, given the long-term investment horizon, you should invest in equities up to the maximum permissible limit of 50%. Divide the balance between bonds and government securities. Start reducing your allocation to equities about five years prior to retirement. Next, how do you go about selecting the fund manager? You are permitted to select only one fund manager for managing all three assets: equities, bonds and government securities. So choose one with a reasonably good track record across all three categories, and review annually. The opening up of NPS to NRI investment is a welcome development. NRIs should take full advantage of this product while planning their finances for retirement.